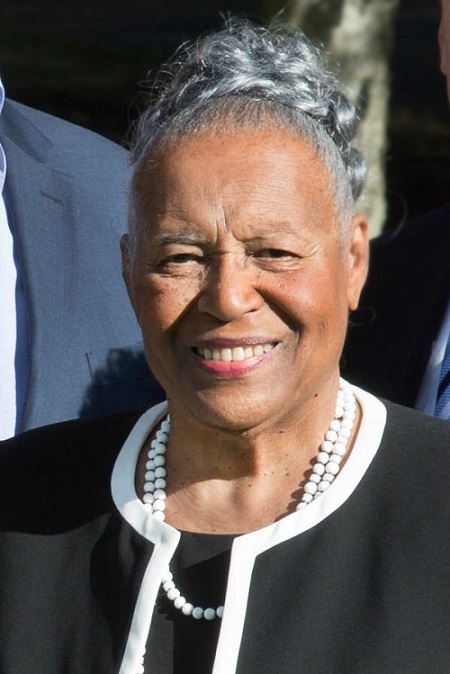 In Dec. 2018, the SPSCC Board of Trustees passed a unanimous vote to honor the work of retiring trustee A. Barbara Clarkson, a tireless advocate for equity and access to education. The dedication event will take place on March 20 from 4:30 – 5:15 p.m. in the DEIC (Building 22, Second Floor, SPSCC Olympia Campus). During Clarkson’s 14 years as a member of the Board, the college expanded student access through seven new buildings on the Olympia Campus and by founding the Lacey Campus. For several years, Clarkson served as liaison to the SPSCC Foundation, committing her own time and resources to connect the Foundation to the community and create a network devoted to supporting student success. And through her work with the Thurston Group of Washington State, she championed access to higher education for African-American and underrepresented students, sending hundreds of youth from the Pacific Northwest to college with over $8 million in scholarships.